Do anti-bacterial products really work? 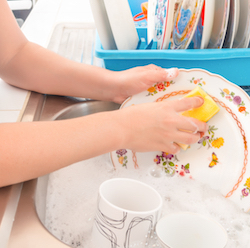 When you do the dishes it’s not hard to see whether the product you’re using is doing the job properly and removing dirt and stains. But when it comes to killing invisible germs and bacteria, how do you know it's working? The simple fact is that it's not obvious when an anti-bacterial product is working. When companies offer products that can help you protect your health in this way, they have extra responsibility to make sure that those products are properly tested to show they do what they say. These guidelines are also used by the bodies which regulate advertising and independently make sure products are properly described.